Try out cricket for all ages! 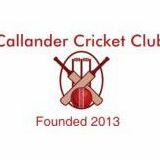 Callander Cricket club has joined TOP Club which is Cricket Scotland’s Club accreditation programme. TOPClub will provide accreditation in key elements of the club which helps make attractive to children and local authorities also aids in gaining funding through agencies. TOP Club helps clubs develop their core cricketing activities.